The Optoma GT760 is a portable home entertainment gaming projector with the convenience of a short throw lens. You can set it up anywhere on a coffee table less than 4.5 feet from the wall and get a big bright 120" diagonal picture. If you want a smaller picture, just move the unit closer to the wall. At 2.2 feet it gives you a brilliant 60" image. And its 33 ms input lag is about as fast as it gets, so video gamers will get the best results their talents will allow. If you need fast action and the convenience of portable short throw set-up, the GT760 delivers for about $650. If you are thinking of a more permanent installation, you can always ceiling mount the GT760. 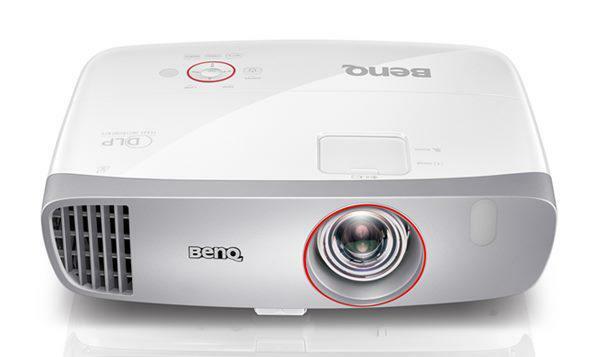 This is a native 720p projector, so it will compress a Blu-ray 1080p signal, but it will display all 720p signals in native format. The GT760 can produce a very nice picture for $650, but its best picture is not achieved out of the box with the factory preset operating modes. Without some tweaking, colors are low in saturation and contrast is a bit flat. Usually full color images show their best on a projector's Movie or Cinema mode, while Presentation mode is best used for higher brightness data display. In this case, we found the best overall full color image was obtained by selecting Presentation mode and reducing the Brilliant Color setting from 10 down to 1. With this simple adjustment, we got a very pleasing full color image in both gaming and film sources. Colors and contrast were natural and engaging, skin tones were reasonably accurate and certainly natural looking, and there was sufficient shadow detail to avoid any sense of muddiness in the picture. Gaming operation was responsive, and the images were well saturated. The GT760's brightness overcame ambient light even in sunlit rooms, so if you are one of the many gamers that likes to play with some light in the room, the GT760 has it. For bright rooms, keeping the image diagonal under 60" is recommended, but darkened rooms you can easily go to 120" diagonal which can really add to the gaming experience. 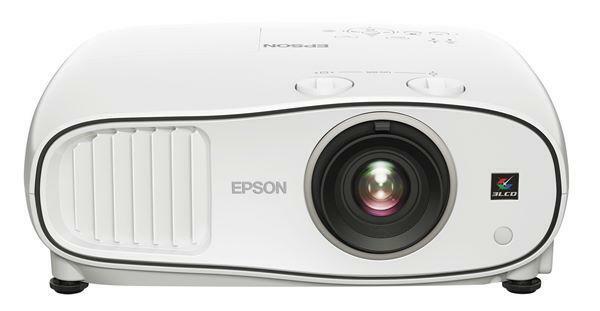 The GT760, like most short-throw projectors, has a fixed focal length with no zoom capability. You can produce a 60" image from 2.2 feet, and a 120" image from 4.4 feet. Which image you choose will depend on personal preference and ambient light. If you watch in the dark, you can go big. If the room is brightly lit, you will want to reduce image size to improve contrast and color saturation. Vertical keystone correction may be adjusted over a ±40° range, but there is no horizontal keystone correction so you have to make sure the projector is facing the screen squarely. As with all short-throw projectors, screen flatness can have a noticeable impact on the quality of the image (horizontal and/or vertical waviness) because of the acute projection angle. This may be a problem if you are using a portable tripod screen which doesn't have the rigidity of a framed screen. Focusing is smooth and positive, and the remote control is full-size with clearly marked buttons. Fan noise is remarkably low for a projector that puts out this much light. Heat being generated by its 190W lamp is exhausted from the GT760 through grates on the right side and front of the projector. This arrangement keeps what fan noise and heat flow there is away from the audience since they will be seated behind this short-throw projector. How does this compare to the Acer H5370BD? Primarily for watching video content. Also, any chance you are reviewing the new Acer 5380? Is it substantially better than the 5370 or the GT760? I disagree with the reviewer that "33ms is as fast as it gets", in fact this is a noticeable input lag and unimpressive for a touted "gaming projector". My Panasonic TV is 16ms and my new Sony is only 8ms! My threshold is an the 25ms Mark and people should be weary of longer input lag such as the projector here. He was probably referring to input lag of projectors. That is always higher than a tv or monitor.